This series began with the opening hymn, Bidding Prayer, and In the bleak mid-winter – Harold Darke. As far as I can tell, a very serious break with recent precedent occurred in 2013. It was in this service, notably, that we did not hear a setting of "Adam lay ybounden". 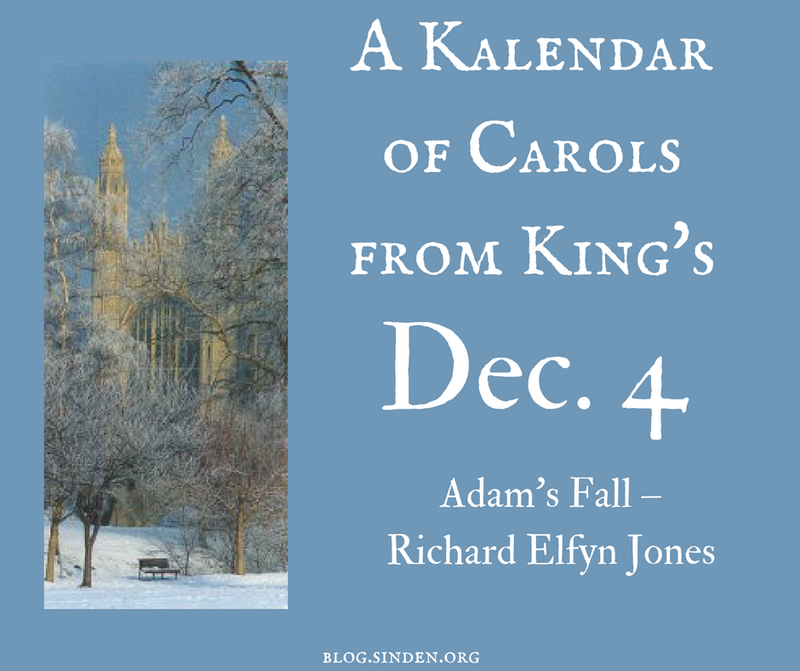 In every other record I have, as early as 1957, a setting of this carol was always sung after the First Lesson. Boris Ord's setting of this text dates from this same year. It was in this same year that he left King's, so perhaps this work was maintained in the service repertoire as a tribute to him. Interestingly, this is Boris Ord's only published composition. This is not to say that there weren't other settings. Peter Warlock wrote an "Adam lay ybounden" in 1922. But the earliest I've been able to find that this carol was sung at this service is 1987. A more recently composed setting is by former Director of Music Philip Ledger. I know that his setting was sung in the service as early as 1980. It was most recently sung in 2014. I still haven't quite gotten about what will be sung this year, but I think it's notable that it's not "Adam lay ybounden". One of the three settings named above was "always" sung in recent years. In 2012 a new setting by Christopher Brown was sung. Then, as I mentioned above, no "Adam lay" was sung in 2013. We have the same situation this year. But I think it's important to understand the weight of that text at this service after the First Lesson. You'll notice that there's plenty about Adam (beginning with the title). But this modern carol text gives us a unique resonance with the Christmas story: "you cannot have a lodging here", thereby drawing a surprising parallel between stories in the Hebrew Bible and the New Testament in the best of the Christian liturgical tradition.